A screen shot shows the mysterious aircraft featured in a nine-second video by Aviation Industry Corporation on Tuesday. China's largest domestically-developed transport aircraft, the Y-20, recently conducted its first joint airdrop training with the country's airborne troops, marking another boost for China's People's Liberation Army (PLA) Air Force's long-range delivery and combat capabilities, PLA air force spokesperson Shen Jinke announced on Tuesday. In a post on the air force's Sina Weibo on Tuesday, Shen said the Y-20, which joined the air force in July 2016 and was displayed at the grand military parade to mark the 90th anniversary of the PLA in July 2017, has started actual combat training. The 200-ton freighters have been transferred to some high-altitude aerodrome to conduct training exercises, including long-range deliveries and airdrops, Shen said. Such projects, including the delivery of paratroopers and airborne military vehicles, are core modules for the freighters, which require the Y-20 to be extremely stable in the air, Song Zhongping, a military expert and TV commentator, told the Global Times. And since the air force has announced such training for the freighters, it is safe to say that the domestically-developed Y-20 has mastered long-range delivery and airdrop capabilities, Song added. Shen noted that the strategic capability of the country's air force should be constantly expanded to stay in line with the country's national interests, to perform a variety of missions over a wider area. Also in the nine-second Easter egg of a footage released by the Aviation Industry Corporation, China's backbone aviation giant on Tuesday, to commemorate the 60 years anniversary of its subsidy Xi'an Aircraft Industrial Corporation, the company revealed a mysterious new model jet. Judging from the jet's looks, Song said it could be China's widely-rumored new stealth bomber "H-20," a B2 stealth bomber-like model. 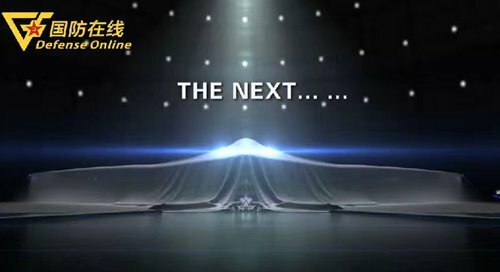 Just like the way the Northrop Grumman Corporation released its B2 bombers, it could be "China's B-2," although the name of the new Chinese jet remains to be determined, Song added.